Submit any URL and select “Link Report.” Enter one URL at a time. You can submit a URL from your website, or you can submit a competitor’s web page to see their links. 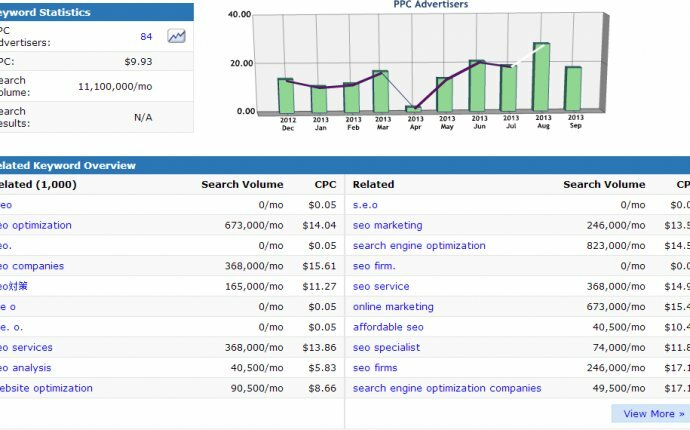 Note: With the free version of our SEO tool, you’ll receive 30 links from Google, Bing, and Yahoo. The paid, full version of the Link Analysis Report tool provides all inbound links from Majestic. The Link Analysis Report is a fast and easy way to see some of your inbound links and the backlinks of your competitors. 1. Get a snapshot of your backlink profile. Backlinks have the power to improve or harm your website’s ability to rank. According to search engines, some are healthy, some are unnatural, and others are downright spammy. So before you can even evaluate the quality of your backlinks you have to know what they are. If you’re searching for a free tool to give you a start when locating your inbound links, the Link Analysis Report does the job. This free SEO tool gathers a page’s backlinks and gives you a taste of a page’s backlink profile. 2. Catch bad links that can harm your site. Identifying your backlinks with the Link Analysis Report is going to give you a raw list of links that you can analyze from there. You want to find unnatural or spammy links before Google does. A proactive approach, backlink analysis is the first step in the process of monitoring your website’s link profile. With a list of your backlinks in front of you, you can review and analyze each link and get rid of the ones you feel are harming your site. 3. Discover your competition’s backlinks: Do you have a competitor with high-ranking pages? By running a competitor’s top ranking web page through the Link Analysis Report, you can find any authority links that might be responsible for assisting their rankings. Get a better understanding of a healthy link profile. You might know the basic qualities of a good backlink, but it’s not always easy to sift the authority websites from the low-quality sites. How do you know if a website is truly an expert in your field? One way to find out is to research your competition’s backlinks. Even if the specific websites don’t apply to your business, at least you can get a clear picture of what a healthy link relationship looks like and which types of backlinks are honored by the search engines. Create healthy link relationships. Who do you want to associate with? Once you have a better grasp of what a healthy link relationship looks like, you can start working towards making higher quality relationships with other websites in your industry. It’s very likely that the same good links pointing to your competitors can also improve your backlink profile. With a list in front of you, you can research each link to ensure it fits your field or topic. Then, you can focus your efforts on earning high-quality links through link earning or link building strategies, such as making sure your site has expert content and taking the time to link to known authorities from within your own website. 4. Further your link pruning efforts with the free DisavowFiles service. In your quest to hunt for and take down low-quality backlinks, use the Link Analysis Report in concert with the free DisavowFiles tool for a healthier, cleaner backlink profile. DisavowFiles is a crowdsourced tool that lets you see whether others have also disavowed the links pointing to your site. DisavowFiles is a way to add a layer of validation to your backlink audit and inform the rest of the community of potentially shady linking sites. Read more about the free DisavowFiles service here. The free Link Analysis Report is a quick and simple way to discover backlinks for any URL. If you find it valuable, bookmark this page and take advantage of this free seo tool whenever you need it. As long as you enter one URL at a time, you can use this tool as often as you wish without paying a penny. This tool is also available in our SEO tutorial under Step 13: Link Building – How to Attract Quality Links. Melanie Saxe is a content writer at BCI. She holds a B.A. degree in journalism and brings eight years of experience in crafting content for the web. When she's not writing at work, she’s usually playing Legos with her son, tinkering with her poems, or singing jazzy songs. Head to Melanie's author profile to connect with her on Twitter, LinkedIn and Google+.